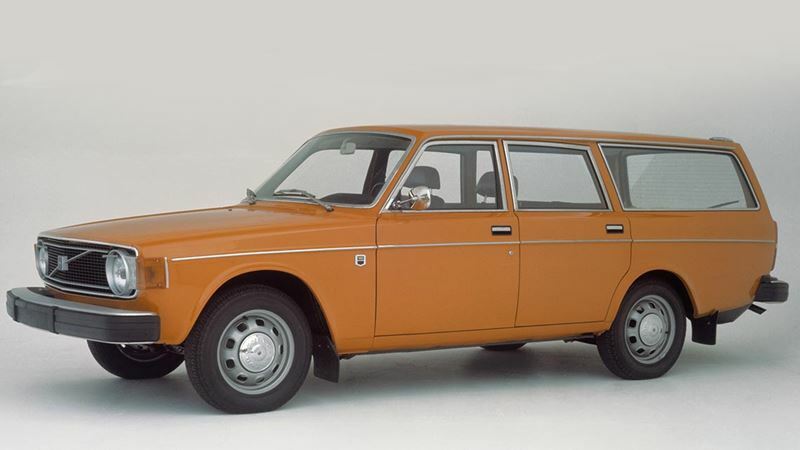 The Volvo 145 was a 5-door estate a rear section which had a virtually vertical tailgate. Options on the design differed, but everyone agreed that this was an extremely practical and spacious car. The cargo volume was more than 2 cubic metres and the floor of the cargo area totally flat. 4-speed manual or 4-speed manual with electrical overdrive or 3-speed automatic. Hydraulic, disc brakes on all four wheels. Overall length 464 cm/182.7", wheelbase 260 cm/102".